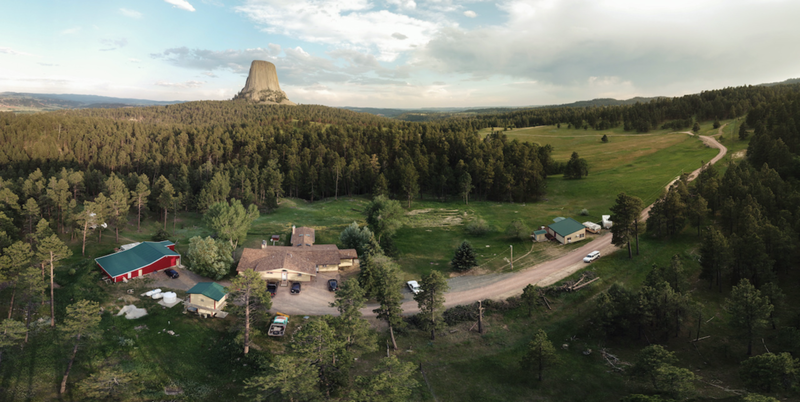 Sandwiched between Devils Tower National Monument and 50,000 acres of ranch land, Devils Tower Lodge radiates eccentricity powered by the climbing legend Frank Sanders. 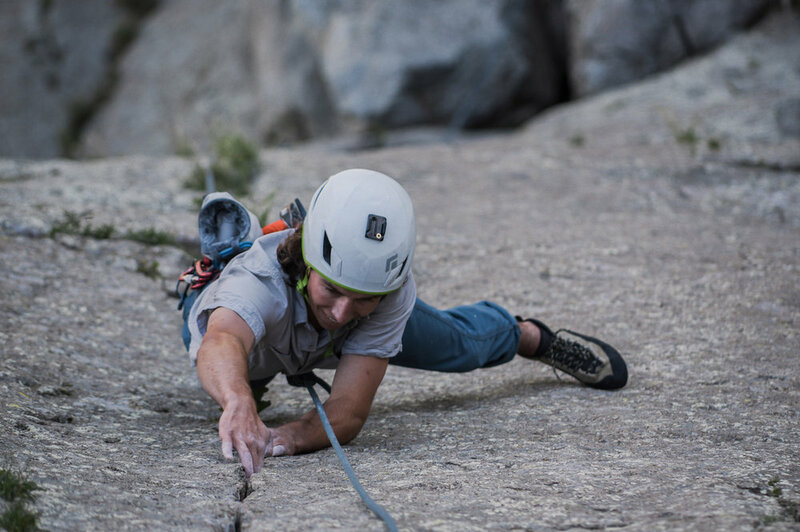 Austin Rust from North Dakota cranks up the first pitch of “One Way Sunset” (5.10C). 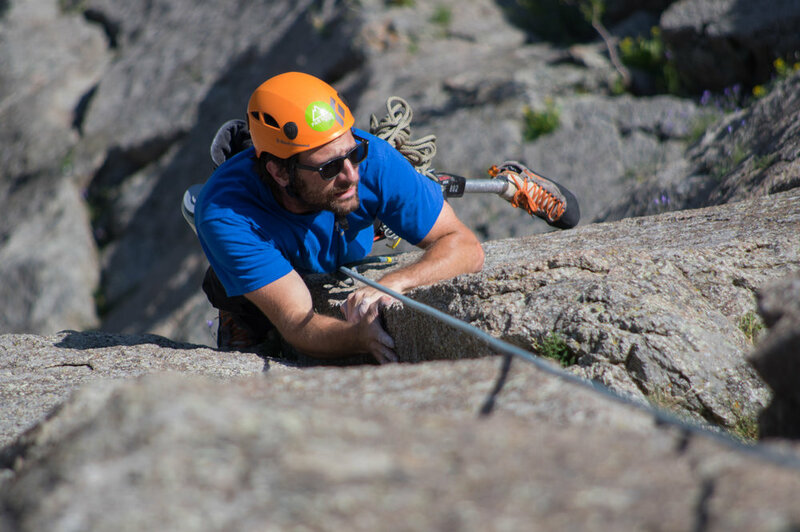 Shooting up the Northwest face of Devils Tower, the crack provides one of the best finger cracks in Eastern Wyoming. Not everything is work at the Lodge. The guides take a break from days of guiding to play a game of Settlers of Catan. Gabriel, (second from the right) explains the rules to a befuddled crowd. Two guides and three guests celebrate their sunset summit by jumping up and down on the summit. Taken from the Lodge’s back porch. Frank Sanders (right) plays an impromptu duet with a guest in the Lodge living room. 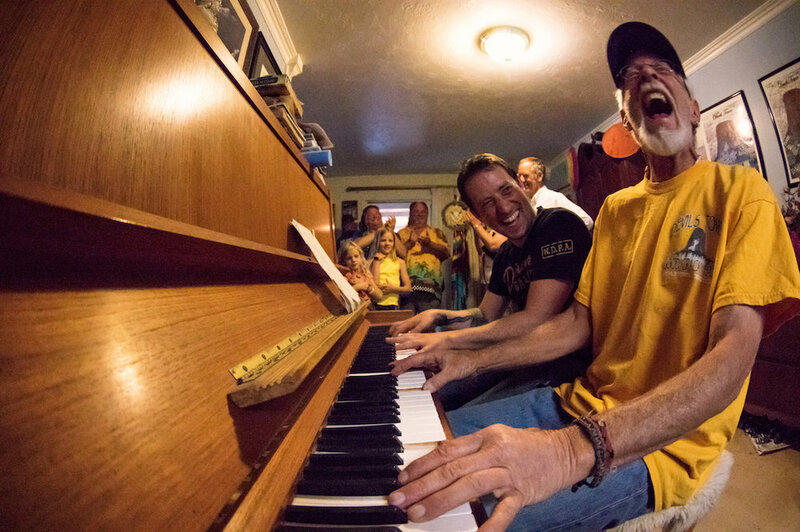 A crack climbing legend in his own right, Frank keeps his fingers nimble by daily piano practice and performances. David “Dave” Klar lost his leg in 2012 when a drunk driver rear ended his motorcycle. He only took up climbing afterwards. Devils Tower was one of his first major multi-pitch climbs. Dave poses for a portrait on the boulder field of Devils Tower. 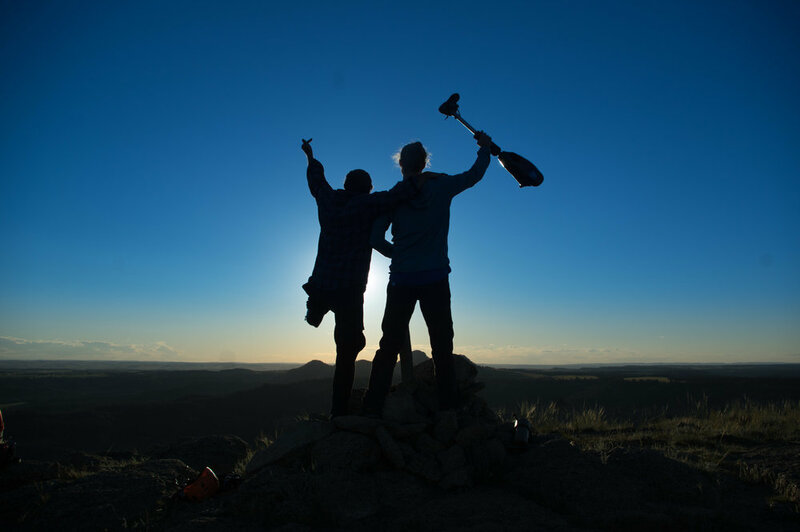 He spent a month at the Lodge summiting multiple times and climbing dozens of routes. Dave finishes the last few moves of “Assembly Line” (5.9) on the Northeast face of the tower. 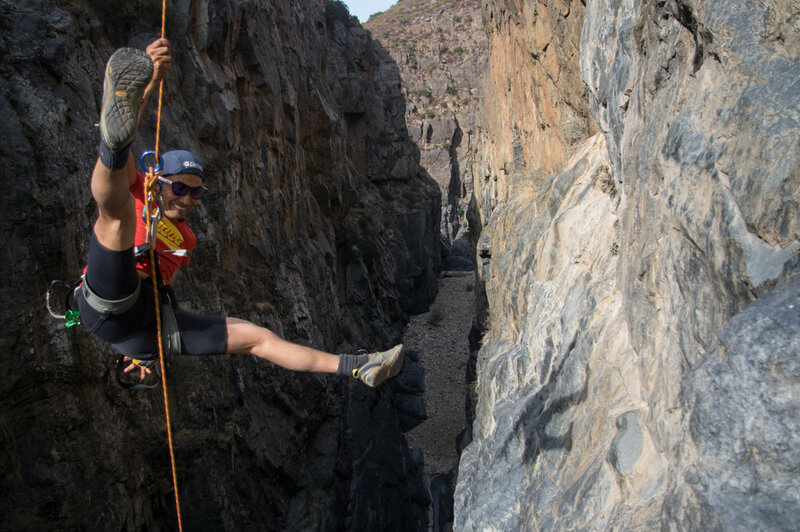 The route is famous for sustained hand-jams, where the climber wedges his whole hand and foot in the crack and advances upwards. The crux move of “New Wave” (5.10a) Dave manages to find a foothold on an almost smooth rock column face. 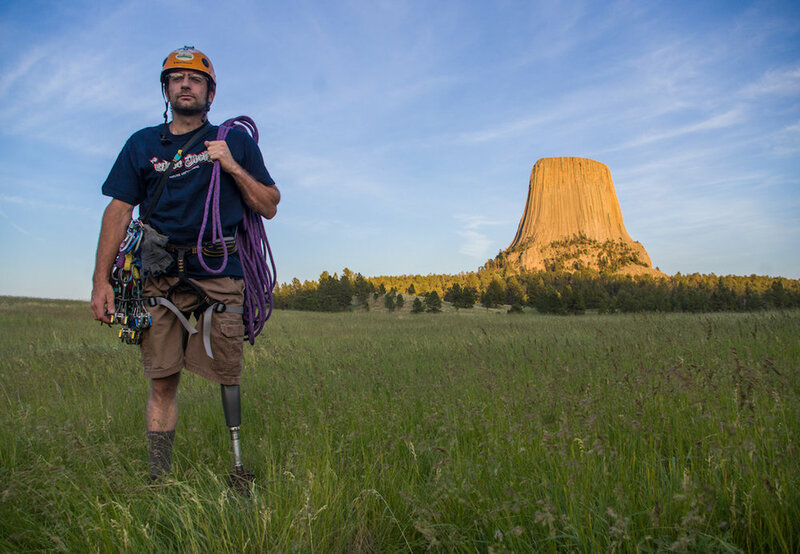 Dylan (right), a climbing guide, raises Dave’s artificial leg as Dave raises his middle finger in defiance to the Tower’s notoriously difficult climbs. Why Americans continue to ride the bus in the midst of the budget aviation era. 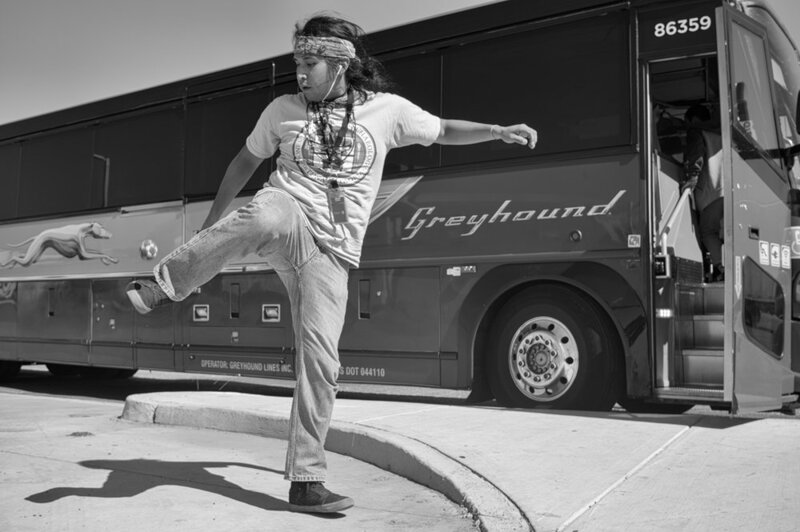 Matthew (23) an Absentee Shawnee and Mississippi Band Choctaw Native American is traveling back home to Oklahoma City from San Diego where he spent three weeks visiting his girlfriend. 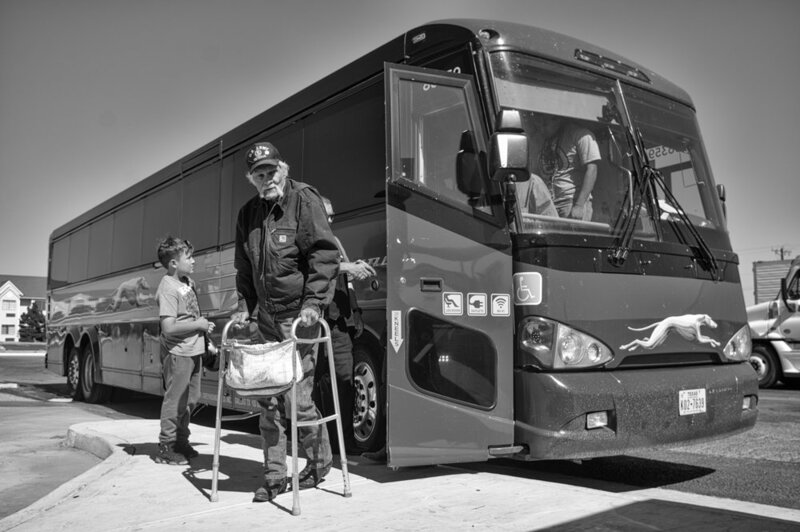 He had never taken a bus before and wanted to make an experience out of the trip and live in the moment. He is heading back to Oklahoma City to take care of his elders. His passion is hackey-sack and has been playing since he was 7. Matthew booked his tickets three days before departure. 3p.m. at the Greyhound bus station in Amarillo, Texas. Passengers whole-heartedly welcomed the stop to stretch their aching legs. Six hours after scheduled departure, the bus driver passes back green chili burritos, a local Albuquerquean favorite, to calm the disgruntled passengers. 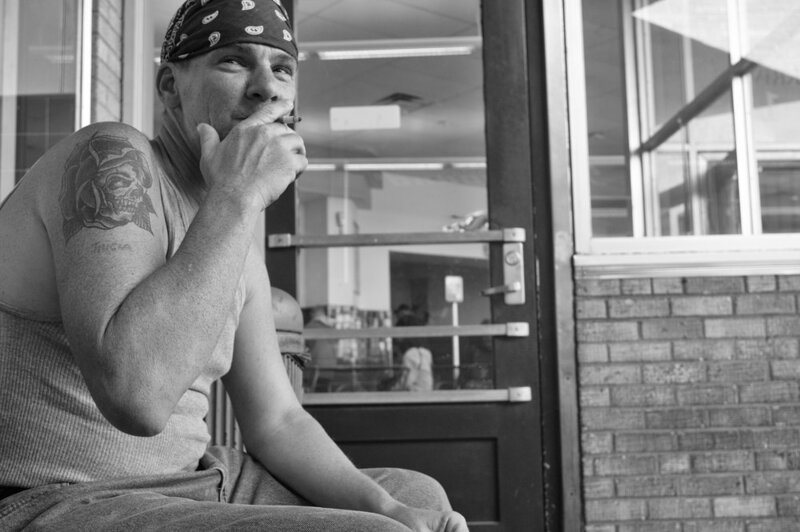 A passenger makes his way off the bus for a quick smoke break. Talisa, a stay-at-home mom from Long Beach, CA heads to Oklahoma City to visit her mother and grandmother. She started yesterday (Oct 11th) at 7:10 am. Two of her three kids, ages 2, 3, 5, are with her husband, a pharmacy tech. The 3 and 5-year olds both have autism. The youngest, age 2, was the only one spared. She booked her tickets three days in advance and didn’t have any cheaper last-minute alternatives. James from Brooklyn is traveling back home from Dallas where he works undergoing clinical trials. Claiming to make $90,000 annually, he didn’t want to pay a couple hundred extra to fly. He is traveling last minute to see his kids that he hasn’t seen since June. If he could have one wish, he’d own his own pizza shop since he comes from an Italian heritage. He said he won’t be taking Greyhound again; instead, he’ll ride the train. Archie [center] resembles every outdoor magazine poster child ever. Tanned and wiry from years outdoors, he sports an ocean blue windbreaker, Patagonia pants, and a blinding smile. In the rainy season between July and October, the whole canyon fills with rapids. “I bought a wetsuit so I could come out here during that time.” Archie said. 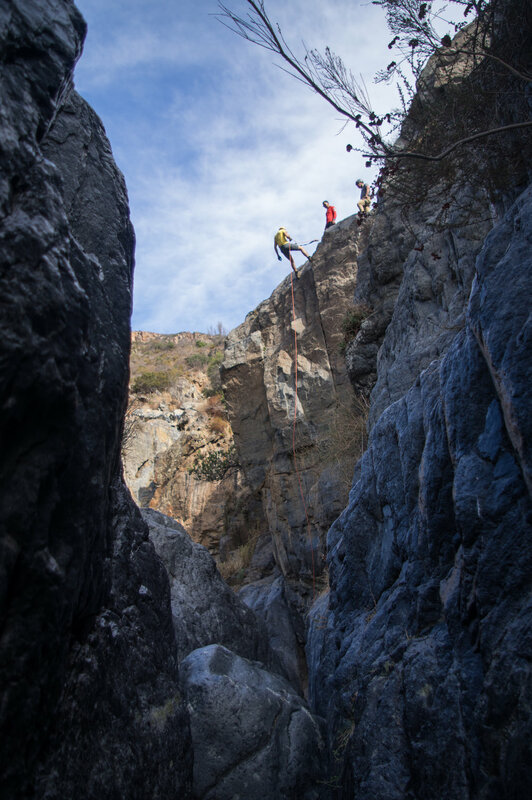 Sebastian (right) begins his first descent down a 15 meter wall. 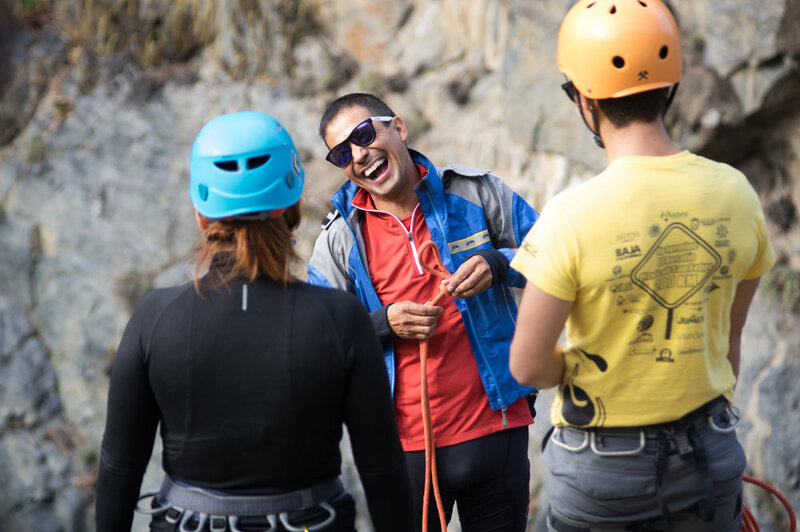 Archie in his happy place, ready to teach anyone he can about the joys of climbing in Mexico. 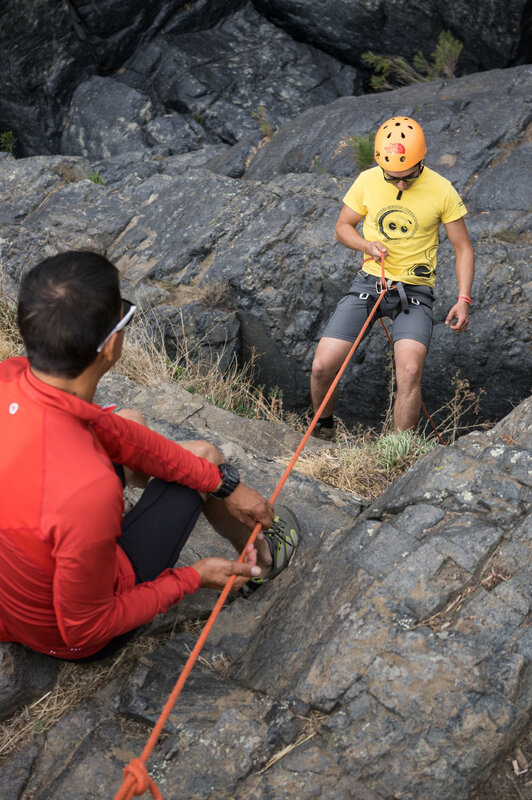 Sebastian [yellow] comfortably begins his second rappel. The nervous excitement that previously hung in the air quickly dissipated. “I’m feeling way more comfortable”, Sinai exhales as she jumars up the last few feet of rope. Stephanie Strong performs a song on cello composed and directed by conductor Matthew Ambrose. She is accompanied by the Liberty Bell choir. Conductor Matthew Ambrose takes a bow after performing Pachelbel’s Canon with the 7th-12th graders from Liberty Bill high school. Conductor Matthew Ambrose conducts the 7th-12th graders of Liberty Bell concert band in the piece Dance Macabre. At 21 years old, David Adler pilots like nobody's business. Raised in Yuma, Arizona, David has been flying since he was 16. A balloonist floats past an almost full moon during the 2nd day of mass ascension when 400+ balloons simultaneously take off. The Albuquerque skyline becomes polka dotted with hundreds of helium balloons for the weeklong event. Balloons pilots prepare for the start of mass ascension by inflating their balloons almost to the point of liftoff. 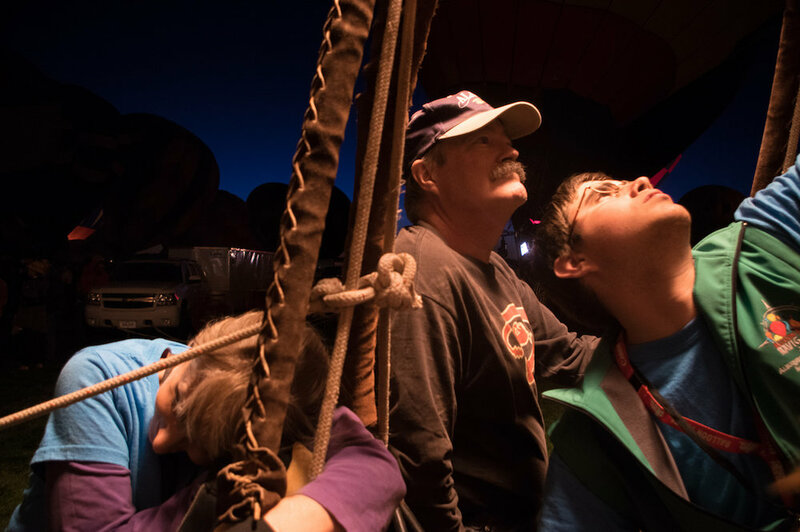 David’s [right] piloting knowledge has landed him, quite literally, in numerous balloon festivals around the world. In Thailand, his landing spot turned out to be a rice patty field. 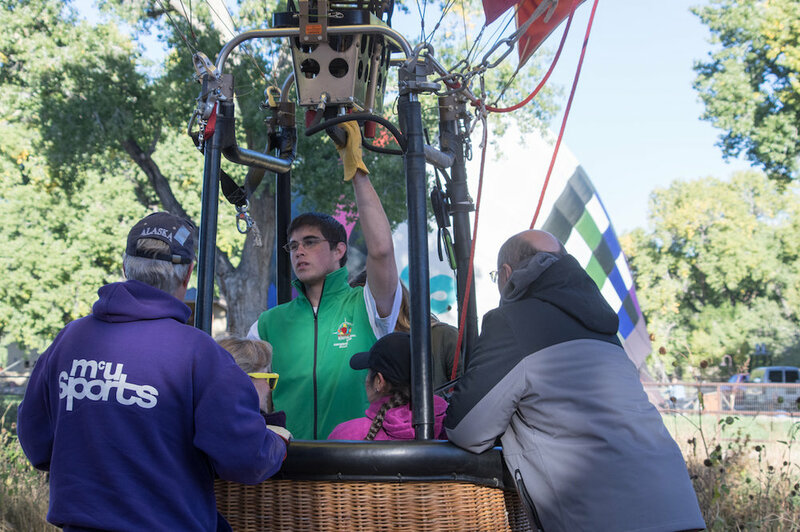 "The second we touched down, bunches of workers swarmed in from the rice fields to help us the roll up the balloons." He recalled. "It was pretty insane." 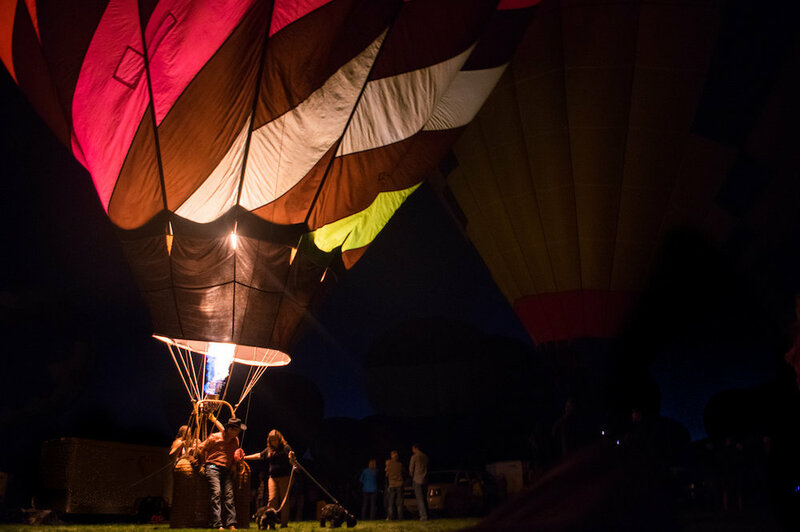 David uses a second smaller balloon to participate in the festival’s nightly Twinkle Twinkle Glow event where the hundreds of balloons remain stationary but ignite their burners to create an immense sparkling effect. It takes all of David’s friends and family to weight the balloon to prevent lifting off during the Twinkle Twinkle Glow event.